Monday Night Football treated us to a fantastic game yesterday, pitting the Pittsburgh Steelers against the San Diego Chargers. Everybody expected the Chargers to win, especially since Ben Roethlisberger was still out with an injury and with Michael Vick leading the Steelers. 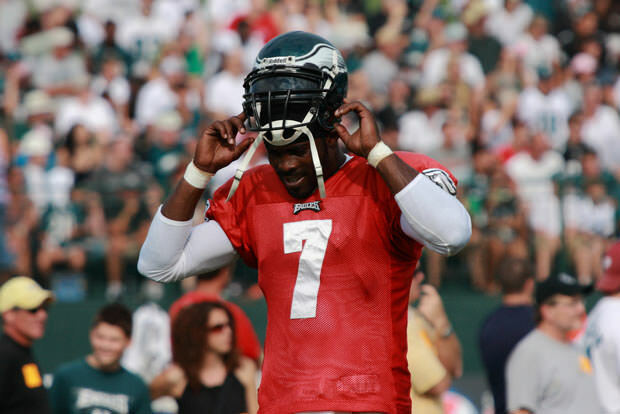 Vick played an okay enough game, at times reminding the fans of his play before all the legal troubles. A particularly exhilarating moment came in the 4th quarter, when Vick threw an insane 72-yard touchdown pass to Markus Wheaton. Mere moments after the football left his hand, he got obliterated by a Chargers defender who nearly catapulted Vick into another dimension. This TD tied the game at 17-17 and the Steelers later stunned everyone by taking home the win with a last-second touchdown run.